Whilst it is nice to have rest days, we were really keen to get going again. After another superb breakfast at Willance House we said goodbye to our hosts and hit the drizzly pavement at 0945. 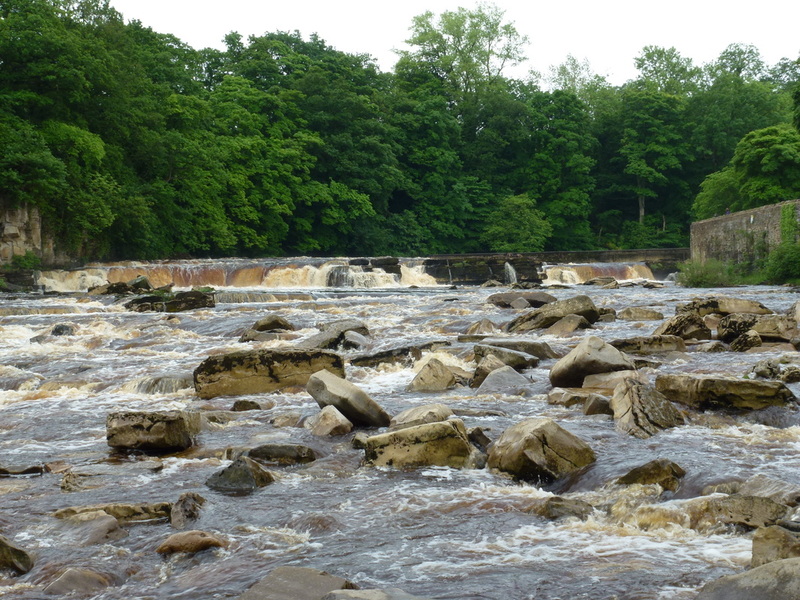 The route out of Richmond towards Colburn takes you alongside the castle, giving great views of the Swale and then along the A6136 for a short while before thankfully you turn off this busy road and reach the sewage works! Once past this unpleasant landmark we were back through fields and before too long reached Colburn and on to St Giles Farm and then Brompton on Swale. 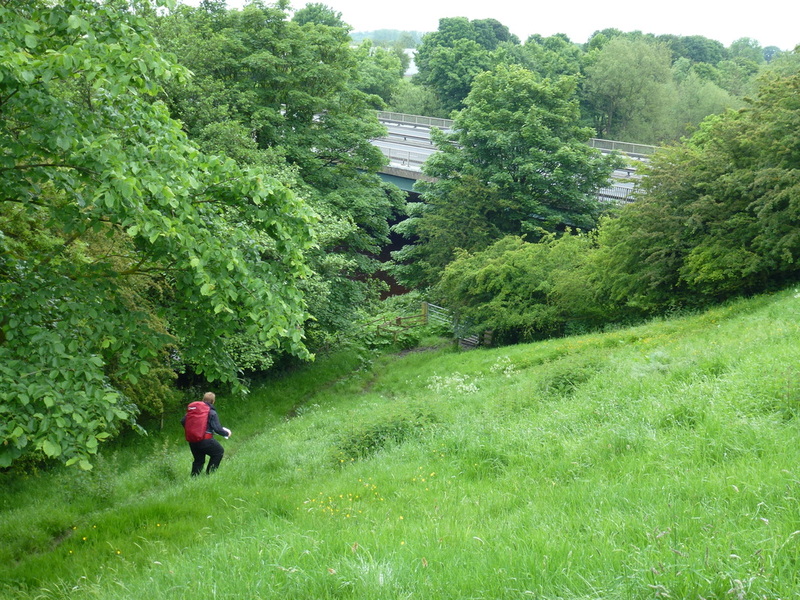 The walking was pleasant and not too difficult and we then passed under the A1 near Catterick Bridge just before lunchtime. It was here we first came across a motley bunch of chaps from Grimsby who we immediately christened “The Cod Heads” – more about them tomorrow. 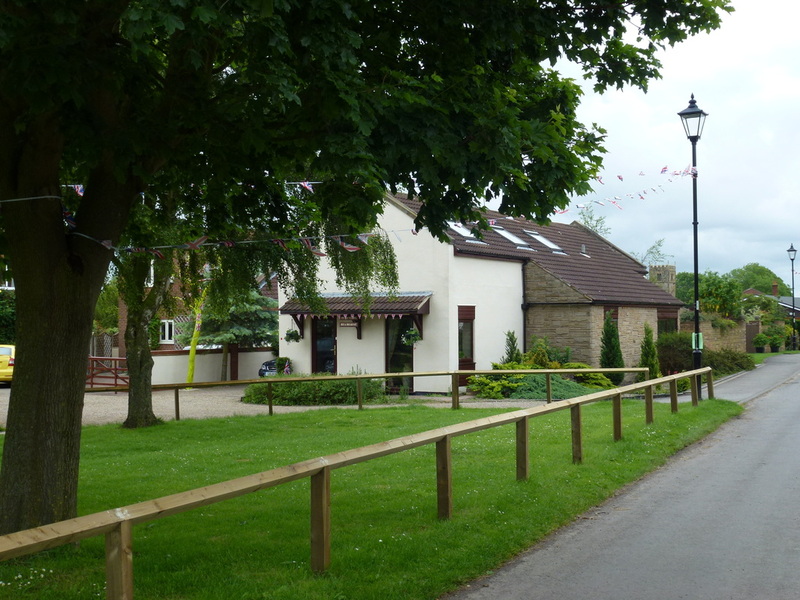 We stopped off at The Bridge House for a soft drink and we were surprised to see four Royal Navy personnel having lunch (in a pub in uniform – naughty boys!). Also in the pub were a Dutch couple who we would see on and off until we reached Grosmont. Suitably refreshed, we pressed on and the weather, whilst overcast thankfully stayed dry. 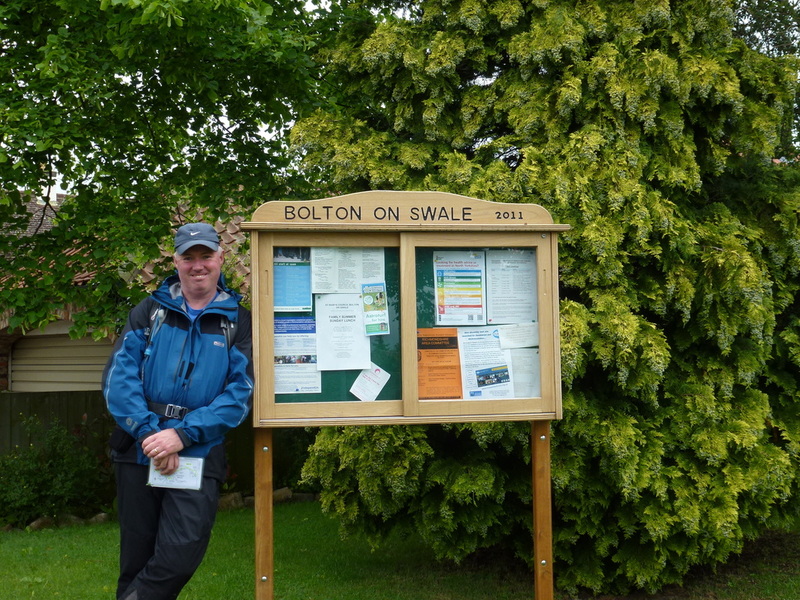 We then made our way alongside the Swale once again to Bolton on Swale which is a really pleasant but quiet little village. It is home of the burial place of Henry Jenkins who apparently lived to the grand old age of 167. Passing the churchyard we then spotted the Kiwis ahead and we kept them in sight along the quiet road to Streetlam where we then found them resting on a bench. After a quick hello we pressed on and shortly after Streetlam saw our first view of the Cleveland Hills. 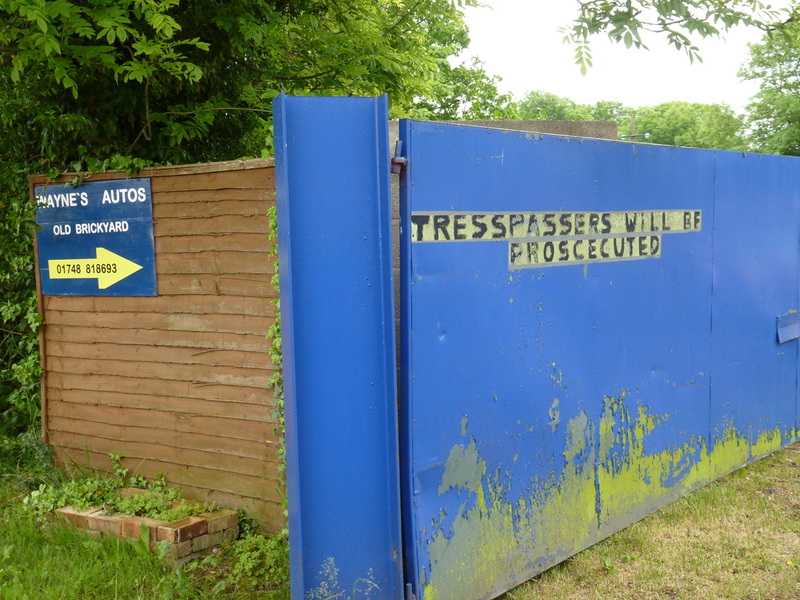 The remainder of the journey passed without incident although it did seem to take an age making our way through the muddy and overgrown path to the Danby Wiske road. 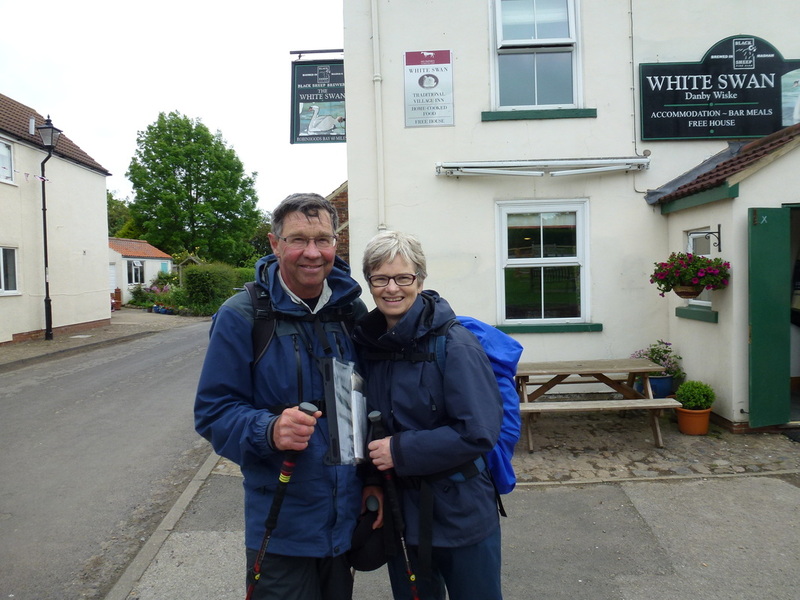 We eventually reached the village at 1520 and enjoyed a quick drink in the White Swan, a chat with the Kiwis and we then made our way to the Old School House B&B. After a quick shower and change we met the Kiwis for dinner in The White Swan and we were also joined by The Cod Heads. This would be our last night with The Kiwis as our itineraries differed from here on in. 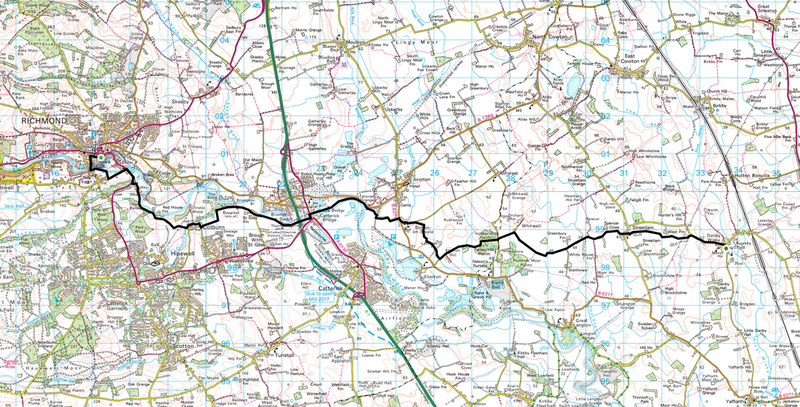 Many C2C journals we have read go on about how boring this particular leg of the walk is – we did not find that at all. Whilst the terrain is flat and there is much road walking, this was still a very pleasant day. Frank and Doreen are the most pleasant of hosts and made us feel really welcome. Nothing was too much trouble for them and our stay was one of the best of our trip.